CCL sponsors Business on the Move, an innovative business game for schools. 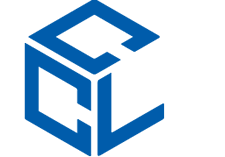 The game features CCL alongside other big names from the world of freighting and logistics. Children can learn about the UK’s supply chain, and explore the issues involved in shipping products from China to the UK and making a profit. They have to make decisions on which modes of transport and which routes to take and they encounter all sorts of problems which grown-ups in the world of global trade run across every day. And all this is wrapped up in an entertaining board game! Click here to visit the Business on the Move website and find out more about Business on the Move. CCL supports a number of charities. Find out more about these by clicking on the links. Mind provides advice and support to empower anyone experiencing a mental health problem. They campaign to improve services, raise awareness and promote understanding. They won’t give up until everyone experiencing a mental health problem gets support and respect. The Sickle Cell Society believes that individuals suffering from sickle cell disease have the right to quality care. They respect the views of every patient and they have a network of committed volunteers, who play an important part in running the charity, providing administrative backup, and helping with fundraising activities. Prostate Cancer UK fights to help more men survive prostate cancer and enjoy a better quality of life. They have three priorities: 1. Supporting men and providing information 2. Finding answers by funding research 3. Leading change to raise awareness and improve care. Childlife is a fundraising partnership between four charities working with children, young people and their families throughout the UK. As well as fundraising for their partner charities and promoting their work with children and young people, they aim to facilitate and enhance the relationship between the four charities by sharing knowledge and best practice. The BrightFuture Foundation is a US-based non-profit organization that supports Mangagoy Free Beneficial Preschool (MFBP) in the Philippines. BrightFuture Foundation also supports a young-adult learning centre in Cuba. Both schools provide under-privileged children and adolescents with free education and the opportunity to learn English.